You woke up early and made yourself a smoothie bowl. Grabbed an apple for morning tea, a handful of dried fruit with your sandwich for lunch, fruit salad for dessert with the kids and a few sneaky dates with peanut butter as a TV snack – sounds like the idyllic healthy day right? 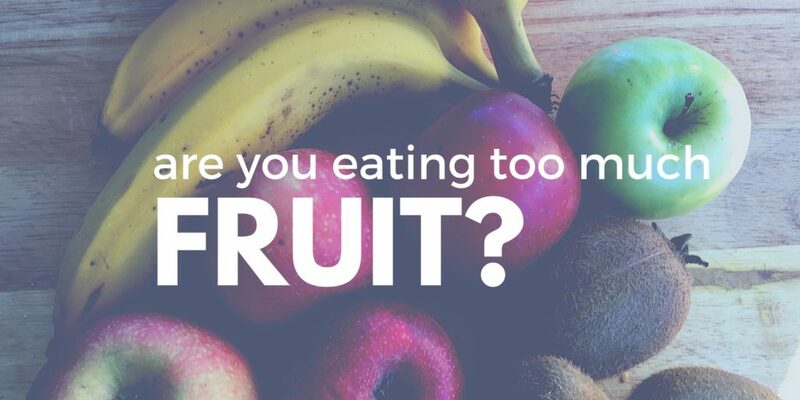 Maybe not, you could be eating too much fruit. While these might be healthier swaps for sweet treats, you can have too much of a good thing. While trying to eat more fruit and vegetables for good health, one is definitely easier than the other. I bet you already know that we need two serves of fruit and five serves of vegetables every day? But did you know that meeting these recommendations can reduce your risk of chronic disease? We need 300g of fruit and 375-450g of vegetables to get ourselves onto the healthy list, and evidence shows us that more is better. How much fruit do we need? 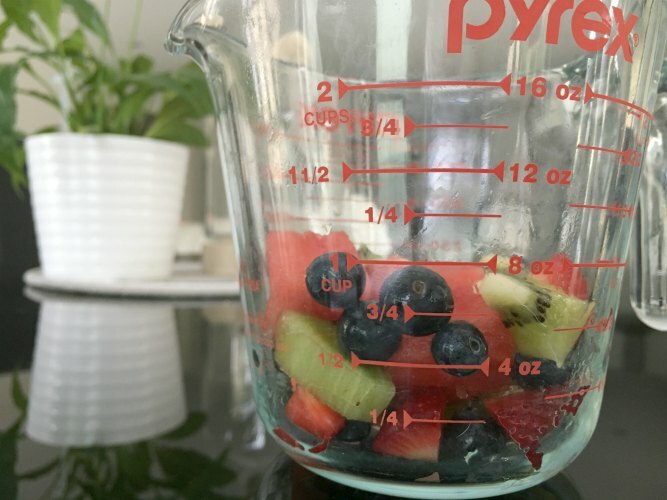 One serve of fruit is 150g which is 1 cup chopped fruit or a medium piece. Although, I wonder if that should be a small piece now. Have you noticed fruit in the supermarket getting bigger? You have to hunt around for small kid friendly sized apples. Next time you cut up a piece of fruit in the kitchen, weigh the edible parts and see. People who are really active, have physically demanding jobs or who are pregnant or breastfeeding are likely to benefit from higher intakes of fruit. If you have higher energy needs, keep your fruit under 4 serves in a day, to make sure that you are getting enough of other food groups. The rest of us might be better off sticking with two. Eating too much fruit could be replacing vegetables in your diet. When you’re making healthy changes, fruit is an easy one to start eating more of – it’s sweet and delicious! So it’s no wonder that while only 7% are eating enough vegetables (not a typo, 7%!) nearly 50% of Australians are eating enough fruit. It’s easy to buy, store and throw in your bag for a snack. Fruit is a great replacement to sugary desserts or sweet treats for afternoon tea. When you haven’t been eating enough, it feels good to be eating fresh fruit. While fruit has it’s place – vegetables are better for you than fruit. Put your efforts into eating more non-starchy veg. Your future-self will thank you. So how do you know if you’re eating too much fruit? Juice is not a fruit. It doesn’t matter how fresh and organic it is. In fact, the WHO classes juice in the same free sugar category as added sugars, soft drinks and syrups. Your limit of these is 6 teaspoons a day. 500ml of juice could have 10 teaspoons of sugar (the same as a can of soft drink). You’re only getting some of the benefit of the fruit and unless you eat zero fruit or vegetables, you’d be better off with without it. By juicing fruit you are missing the good bits (cancer and heart disease fighting flavonoids), the fibre and you’re getting a concentrated dose of sugars as you drink more pieces of fruit than you could eat. Did you know that there is no evidence for the benefits of a juice cleans or detox? We physically do not need to detox our bodies, our liver and kidneys do this for us. If you were having trouble, you’d be very ill and would be under the care of a health practitioner. People often say they feel better doing a juice cleanse, but it’s likely because they have had a break from eating rubbish food and drinking alcohol. Smoothies are slightly better as you’ve retained the pulp (and hopefully some skin) – but they’re still not fruit. When you blitz your food you are disrupting the fibre, the bulk that helps to keep you full. All of the energy from the foods is going to be more easily absorbed as a liquid so you will end up consuming more kilojoules. You’re more likely to experience a spike in blood sugars and then feel hungry sooner from drinking a meal rather than eating it. In fact, you’re more likely to eat more at your next meal by having a juice or smoothie rather than a whole piece of fruit. If you can’t live without your smoothies, add non-starchy vegetables and have a limit of one serve of fruit. Don’t add any sweeteners. Even agave, maple and rice-malt syrups count as free sugars. Instead of adding fruit juice, try water, coconut water, milk or plain yoghurt. If you’re having more than two serves of fruit in a day and it’s your snack of choice, you could be eating too much fruit. Fruit is healthy and it’s certainly a better option than reaching for the biscuit jar or vending machine. But if you’re a regular snacker, try to replace some with vegetables. Dried fruits are a convenient and shelf stable snack; but they are concentrated in natural sugars. A serve of dried fruit is only 30g and can only count as one of your daily serves – the other should be fresh fruit. 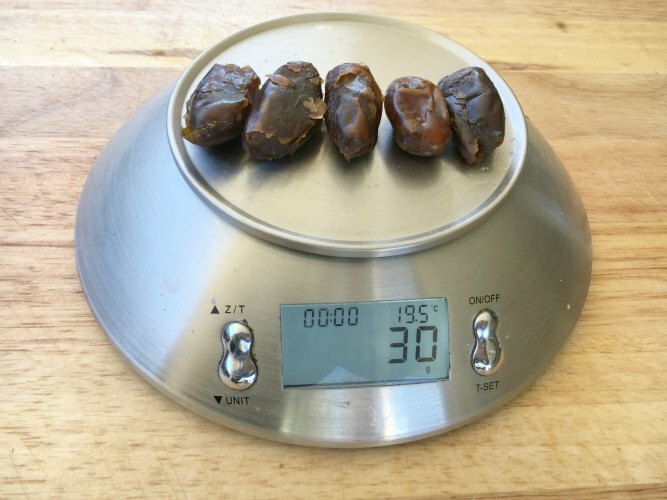 A serve is only 5 dates or 4 dried apricot halves. The reduced water content makes it satieting than fresh fruit and the sugars more concentrated. It’s easy to overeat the small portions of dried fruit and over do the kilojoules. 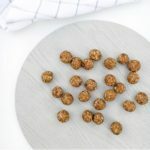 A handful of dried apricots grabbed from the bag is quick snack eaten in a small amount of time. But that’s about 10 halves which is 5 apricots! The concentrated sugars and sticky texture of dried fruits are also a problem for tooth decay. So try to rinse your mouth or brush your teeth after eating them. 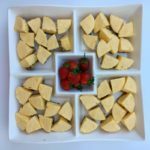 Adding fibre to a low-fibre diet can help to firm up runny bowel movements but having too much fruit could be adding more fibre than you need – having the opposite effect. Well known constipation cures are prunes, pears, apples and plums. It’s the sorbitol in these fruits that attracts water and can help loosens your poo. Too much of a good thing could be contributing to yummy aches and pains, gas and soft poo. Or if you’ve been trying to lose weight and it just wont budge. You seem to be doing everything right but your weight loss has stopped, then something needs to change. It could be that you need to adjust your kilojoule intake and eating too much fruit could be just the thing to change. Your meals could be perfect but you might be drinking too much energy. If you’re including juices and smoothies – keep your portions small and eat more whole fruits and vegetables. Choose vegetables as snacks over fruit. Buy local, seasonal, fresh fruit. Fruit does not need to come from the Andes to give you antioxidants. Choose a wide variety. No one fruit is better than another. Each have their own benefits so eat a rainbow. Keep canned and dried fruit handy but eat fresh whenever you can. Eat the whole fruit and keep the skin on apples, pears and stone fruit. Once you’ve got yourself up to eating two serves of fruit every day, pat yourself on the back for reaching a health goal. But don’t forget to move on and try to increase your vegetable intake too. Having trouble losing the last 5kg? Get in touch and I’ll show you how to eat smarter, not less.